An inflatable baby bath is very useful in so many ways. It is used be used only as a bath gear when traveling with a baby. It is easy to store and it is not bulky to carry around. You just inflate it when you need it, and then deflate when done. Now, parents are also finding it convenient to use at home. It is used for infants to toddlers who are about two years old. The beauty of an inflatable baby bath is that it is so much more comfortable for baby with the soft padded air cushions; it comes in many sizes that you can choose a tub that you can lay on your kitchen sink or on a regular tub. Aside from that, your baby will surely enjoy the beautiful and exciting forms and designs that inflatable tubs come with. More so, an inflatable tub is surely a space saver. 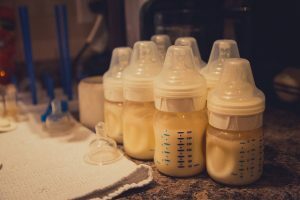 Unlike regular baby tubs, an inflatable one can be stored under a bathroom sink when deflated or simply let it hang on the wall for drip-drying and easy access. With so many inflatable baby bath products out there, it could be a tough task to choose one that is best for your child. To help you shop for the best inflatable baby bath, we’ve compiled a list of the four best baby bath brands and their specifications. The most unique feature of the Munchkin White Hot inflatable duck tub is that it comes with a White hot safety disc. This is located at the bottom of the tub; it is color blue and turns white when the water is too hot for baby. No need for a bath thermometer with this special feature. This tub is ideal for babies from 6 to 24 month old. 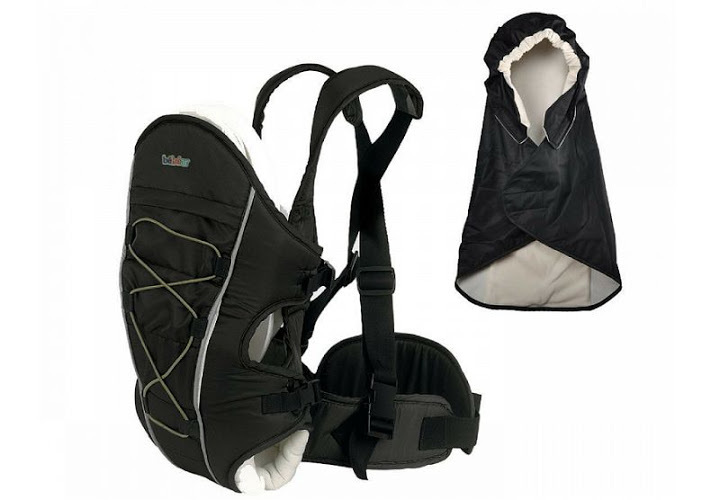 It is designed with a textured bottom, which adds extra safety measures to prevent your baby from slipping. There are mixed reviews on the ease of inflating the tub. Most reviews state that you can blow it up easily within a couple of minutes. Others say it takes them more than 30 minutes to blow up. Remember that with every inflatable item, it usually comes with a safety valve. Read the instructions about how to blow up the item to make it easier to inflate. The product feature of Kel-Ger Snug Tub is that it comes with suctions on the bottom of the tub for extra safety, and there is a suction tab for easy wall hanging. You can drain the tub with a valve and it is especially designed to be portable enough for travelling with baby. Like most of the featured inflatable tubs in this page, inflatable tubs are water-conserving compared to filling up a large tub for baby’s bath time. It is perfect for babies who can sit up unassisted until 2 years of age. Most customers who purchased this tub like the extra safety it provides with the suction cups that are found in the bottom of the tub. It makes it easier to shampoo baby’s hair with the low cushioned sides where he can rest his head on while you gently shampoo his hair. Also, parents who have bought this tub claims to need to add an extra non-slip rubber mat or a sponge mat to the bottom of the tub to make it safer for baby since they have found it to be somewhat slippery. This tub’s product features in that it is 100% Phthalate-Free. It is equipped with a saddle horn that keeps your baby from slipping. It is small and safe enough for a baby as young as 3 months old and you can use until your baby turns two. The Safety 1st infant newborn baby bath tub is well-equipped with SlideGuard mat and contoured sides to ensure your baby is safe and steady when bathing without sliding. This tub has been enjoyed by babies from infants to young toddlers. It is a good-sized tub that can fit in bathtubs and sinks, whether single or double. The Safety 1st baby bathtub is machine washable hence very easy to clean without staining. It features three soap and accessory holders as well as hooks to allow easy drying. Inflatable baby bath and free-standing infant bathtub are important baby accessories that most moms buy. Bath time for infants can cause anxiety especially to new mothers when they do the task on a solid and sturdy baby bath tub. Although bath tubs for babies are specially designed with contour seats to keep baby in position while bathing, the hard bottom makes them uncomfortable. Most infants are slippery to wash with soap and water, and moms would worry about babies accidentally slipping and hitting the hard tub. But moms get over the fear eventually and become adept in holding the baby in a cradle position while washing, soaping and rinsing. When infants however, outgrow the baby tub, moms prefer to buy inflatable baby bath. An inflatable baby bath is similar to inflatable swimming pools and is used for bathing babies. They are made from vinyl safe, compact and portable. The soft vinyl with cushioned bottom and side bolsters gives comfort. The high-cushioned back acts as support for newborns and toddlers. A lot of inflatable baby baths have carefully shaped-cushions for your baby’s comfort. They are sized to an infant who can sit down on his own so there is no danger of the baby toppling down the tub. The water can be drained by pulling the inflatable tub’s plug and letting the water out. Because of its size, you can dry it by hanging to allow the tub to air-dry. It’s very convenient too because moms can simply tuck them in the bag while traveling with ease and comfort. Or when it’s no longer of use, it can be deflated and stored easily. Why would you prefer an inflatable baby bath to a regular baby bath tub? The first reason will be safety. Because babies and toddlers are restless, slipping on the side of the tub can’t be avoided. The soft cushion surrounding the tub keeps the baby safe while enjoying his bath. It is very safe for babies and toddlers because the sides are designed in such a way that when air filled the bath tub, the baby is able to sit upright by himself. The soft vinyl material won’t hurt the baby’s back or bottom. Also, it is convenient to use the inflatable baby tub and to move it from one place to another. If your bathroom space is small, then you can pack it away after use and have it handy the next bath time or simply hanging it on the wall without deflating it. Aside from its being portable, it is eco-friendly. When using an inflatable tub, less amount of water is needed to fill the entire tub. Waste of water will be avoided and you have helped conserve water this way. There are also larger inflatable baby baths in the market. This is best for travel bath for toddlers and young children too. Moms don’t have to worry having fun bath times during travels if they have a portable baby tub. Some manufacturers have specially designed infant baby bath shaped like ducks and fish. This can make bath time for babies fun and less stressful and can be an opportunity to make quality time for bonding. What a perfect relief for moms to turn bath time into playtime! More and more parents nowadays find an inflatable baby bath as the perfect equipment for their precious little ones. In the past, it was only used as a bath gear for travel time especially for the pool or the beach. Now they use it during regular bath time at home. Bath time is certainly one of the most enjoyable part of the day for both baby and parent. Babies from newborn to around 8 months old are not that difficult to bathe, they just lay on your arms, most of the time cooing with content as the warm water soothes their bodies. By the time they get just a little bit older, they get more difficult to control as they start moving and splashing around too much. Times like these turn fun time into frustration for most parents. Thanks to an inflatable baby bath, mommy’s or daddy’s job becomes so much easier. An inflatable tub can fit into any bathtub or even a kitchen sink if you purchase a smaller one. It takes away the danger of your little angel slipping away from your grasp, or even hurting himself on the hard edges of a regular tub. The best inflatable baby bathtubs in the market today are designed to put baby’s safety first. Also, its soft air cushions make your baby feel so much more comfortable too. They are designed with non-slip bottoms that make it extra safe. What’s more, an inflatable baby bath is so convenient to use. An automatic air pump can have it inflated and deflated in seconds. If you have the space, then simply hang the tub to dry ready for the next time you give your baby a bath. Also, your sweet little baby will certainly enjoy the different cute and exciting designs most inflatable tubs have. You can choose from a tub shaped in animal forms, cars, or the regular shaped tubs with cool baby designs. They come in all shapes, sizes and colors.